AMS is the go-to partner for the supply of specialist automotive expertise across Europe. We have a team of over 100 automotive experts helping automotive manufacturers and dealers increase sales and profits across 30 different Countries. You’ll find AMS deploying and managing New and Used Car Field Sales Teams, Dealer Development Managers, Used Car Specialists, Auditors, Experts in Training and Coaching, Marketing Managers, Brand Communication experts, Social Media Managers, Motorcycle Specialists and much more. We appreciate tough performance targets. We’re at our best when we help our clients and the people we work with become successful.  We like to challenge the status quo and we deliver innovative ideas and solutions that improve customer satisfaction, sell cars and drives profits. We recruit the very best automotive talent in the local market. We train our people well and we manage them very closely. We make sure they have the tools required to achieve our clients’ business objectives. When they hit the target, we reward them well. This keeps us all motivated and highly focused. Above all else, we are a fun, challenging and an engaging business to work with. Despite our size and reputation, you may not have heard of AMS. This is because we put our client’s success ahead of our own. We have been working with Automotive Manufacturers and Dealers for over 30 years. We started developing used car programmes for most of Europe’s major automotive manufacturers in the early ‘90s. Today we offer more people, products and services than at any time in our history. If you need a specialist team, on either a short or long-term assignment, we will recruit, train and manage the very best automotive talent available. We don’t use sub-contractors. Every AMS employee is on our headcount and deployed through our extensive network of local branch offices both here in the UK and across Europe. We are registered as an employer in every market we operate in and tax and social security payments are made locally. 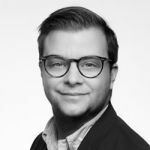 Manufacturers are turning to partners like AMS to deploy Dealer facing field people and internal support teams because they can set us sales targets and reward us when we achieve the objective. We let manufacturers do what they are good at, designing, building and marketing cars. The rest, you can leave to us. Deploying an AMS team offers considerably more flexibility and business advantages than hiring people yourself. We are on a personal journey to deliver service excellence to our clients. By finding and deploying talented individuals we ensure our business delivers integrity, an engaging management style and real-world, operationally effective solutions that increase sales and profits. If you would like to meet us, we would be delighted to visit your organisation. Irrespective of where you are in the world, we enjoy working with creative and talented people and we won’t charge a service fee for working together on some early ideas to help shape the future. We offer a wide ranges of products and service to support automotive manufacturers and dealers grow their business, increase sales and profitability and deliver excellence in customer care. AMS has over 30 years’ experience helping manufacturers develop and deploy their used car marketing programmes. 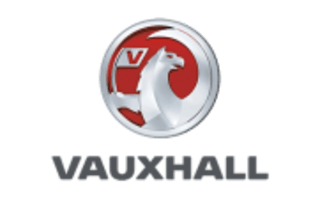 The list is long; it includes Vauxhall’s Network Q in the UK, Das WeltAuto for the Volkswagen Group, BMW Premium Selection and many more. Today we are looking at whether used car programmes are still relevant, and we are helping extend the product life-cycle with new ideas and fresh thinking. As European markets mature, the focus is shifting towards dealer profitability and AMS is helping to turn stocks faster, sell more vehicles from manufacturer stock and encourage dealers to offer high trade-in valuations. experts to really engage dealers and help support their development. In some of the world’s emerging markets, the story is different. 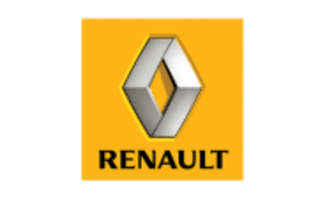 Outside of Europe, customer expectations are increasing and manufacturer used car programmes, and the standards and professional processes they deliver, must offer the right solution for change. Successful used car retailing starts with freeing up cash, having the right stock-mix and employing well-trained sales professionals to guide buyers towards a sale. For dealer used car managers, it’s about following tried and tested processes for acquisition (like handling a part exchange), preparation and display, stock-turn, profit retention and customer care. 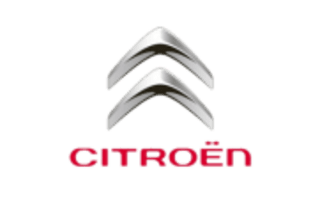 If you want to deliver a class-leading used car programme, you probably have access to the central programme developed by the brand you represent.  Where you might need help is to localise this for your buyers and to get your dealers committed and enthusiastic about the increased profits that working with AMS in used cars will generate. AMS has a wealth of experience in this area and our teams are able to support you and your dealers make these programmes highly profitable and value-added.  The priority is to sell manufacturers used car stocks to franchised dealers and enhance residual values, and we know how to help set up a cohesive remarketing operation and the partners you need. We currently manage and resource re-marketing operations in Portugal, Sweden, Finland and Norway. For software services and supply chain management solutions, such as transportation and vehicle inspections, we can help. AMS offers a full project management service and we are delivering end-to- end solutions that allow you to establish a comprehensive remarketing programme for short-cycle units. We recognise that the key to your success is speed! Our expertise in sales channel management means you can be sure your short-cycle units will achieve the highest residual value through the most effective route to market. We also know that in some markets, it’s difficult to find supply chain partners. If this is the case, we’ll do it ourselves. To support remarketing services in Sweden, AMS is going to establish a suitable remarketing facility and invest in the materials needed to complete de-fleets & hand-overs, vehicle inspections, cleaning and photography services. All done at our own facility. Are your dealers fully committed to your used car programme? Do they fully support the warranty offer…. Are your dealers fully committed to your used car programme? Do they fully support the warranty offer and does every customer get the warranty they should? 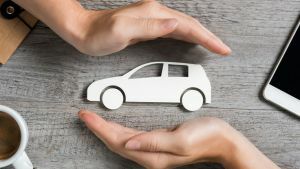 Insurance backed used car warranties are popular throughout Western Europe but less common in emerging markets – car dealers tend not to offer warranties or, at best, they offer a much looser promise to reimburse some repair costs. 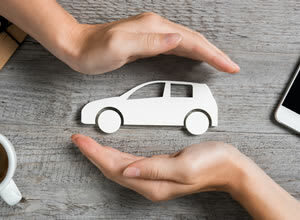 Manufacturers insist their dealers join their Approved Used Car Programme but insurance backed warranties are expensive and, for cost reasons, dealers can sometimes be reluctant to participate. We are not a warranty company, however, we are market leaders in warranty programme design and development. AMS designed and launched Europe’s most successful ever (in volume terms) self-funded warranty. Today we administer a basic self-funded scheme for a number of our manufacturer and dealer clients’ throughout Europe. Dealers like the AMS system because they avoid insurance premiums and are able to keep their cash in the business. At the same time, they can keep track of warranty repair costs. Manufacturers like the AMS system because it removes an important dealer objection to joining the Approved Used Car Scheme. They also get sales reports to monitor dealer and national used car performance. For this type of assignment, AMS only employs automotive professionals who have experience in running a dealer. This is why we are successful – our people share experience and they “facilitate”. The dealer is asked to allow us to perform a 360-degree analysis of the business. Dealers allow us to do this because it’s not an audit. We invite senior managers to join us and provide a comprehensive report – this is reviewed together with the dealer owner/operator. AMS has a simple 2-page business case that enables us to easily set KPI targets and show dealer managers “what’s in it for them” if they join us on a coaching programme. We identify and prioritise areas for profit improvement by comparing the dealer’s current performance with industry KPIs, benchmarks, baselines or norms for similar dealers. With the dealer team in agreement, we set out KPI targets that the dealer feels are realistic and can be achieved with the right support. The business case sets the priorities because it focuses on areas likely to generate “quick wins” in terms of sales and profit growth. There is always a reason why KPIs underperform. We call this the “Probable Cause”. In the AMS Tool Box, we have a comprehensive list of the “Probable Cause” for every KPI. The Tool Box is online and part of “DealerBook Pro”. Once the “Probable Cause” is identified, the click of a mouse takes the user to “The Solution”. This is a well-written, easy to follow but comprehensive action plan. It’s full of innovative ideas and best practice solutions collected from working internationally and across multi-markets. AMS gets stuck in – we’ll help move cars around the site or review service job cards. We work hands-on to get the job done. This might seem obvious but, right now, do you know where your suppliers’ people are? Who they are visiting? What’s on the agenda? And do you have access to action plans and process documents from previous visits? Do you know instantly how the dealer is tracking against the programme KPIs? We strongly believe that you should. When you work with AMS, you get access to DealerBook Pro – our reporting and project management system. At the project kick-off meeting, we agree on the reports you need, what they should look like and the format you need them in. We provide bespoke reporting output, graphs and spreadsheets, to suit your requirements. You won’t need to “mine” our data to develop internal reports as we do this for you from the beginning. Our teams then report KPI performance versus the base-line through DealerBook Pro and our clever IT specialists set-up your outputs. The output is only ever as good as the input. That’s why every AMS employee is required to complete their reports as a condition of employment. DealerBook Pro is available online through a secure server and accessed through your private ID and password. When the situation demands it, we are quite happy to link our service fees to KPIs – if we don’t do what we promise, then we don’t get paid. We do this by agreeing to “hold-back” a percentage of our service fees which is only invoiced when we hit the target. To find out know more, please call us and we’ll come and see you. 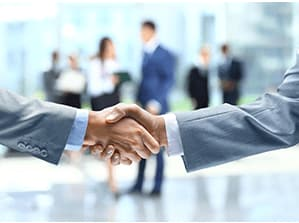 At AMS, we can deploy manufacturer direct sales teams (sales makers) who either support the dealer network to make sales, sell directly to end-users or do a mixture of both. Our people are targeted on results and we run a range of sales incentive programmes and league tables to keep our people focused and highly motivated. Take the small business sector (B2B) – successfully selling into these businesses is complex. This is an area that requires bespoke mobility solutions and there are many factors that affect the purchase decision. Get this right and what emerges is a loyal customer and a profitable sale with revenues supported through streams such as finance, warranty products, road assistance and service plans. That’s how you succeed – offering a mobility plan tailored specifically to the user’s individual requirements. Our expertise in this sector is class-leading. We run some of Europe’s largest business sales programmes, operating across 28 markets. Whether it is building a direct sales team, or building a project in your dealer network, it has been proved, and you can verify this by speaking with our clients, that AMS delivers exceptional sales results. When it comes to helping dealers increase business sales, retail sales effectiveness is critical. The ability proactively to engage with customers and convert opportunities into profitable sales is measured by AMS through our sales activity reports that track the impact of higher contact rates and profitability through revenue targets. In addition, we help dealers recruit, train and deploy dedicated fleet sales specialists who are supported through an induction programme and given a dedicated work plan to keep them focused. If you need a sales team to sell cars and commercial vehicles then you need to talk with AMS. 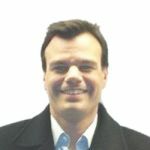 Take a look at the video blog from one of our business sales managers. Our training programmes are lively, interactive and always tailored to suit our client’s requirements. 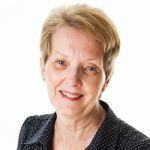 We focus on delivering high standards of inspirational leadership to delegates and empowering them to make the changes needed to drive profits and sales success. Successful programmes need effective people to run them. This is especially important for dealer facing field managers and back office support teams. AMS will train your people to do their job and give them the skills they need to be successful in their manufacturer careers. We will help prepare them for the challenges they face. 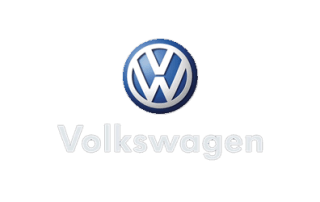 We recently helped global used car programme managers at the Volkswagen Group understand the challenges of launching a global used car programme. Suggesting that dealers must be trained in how to use video in the sales process and how to make these effective and engaging? Recommending to you that dealers must learn how to handle email enquires (and this doesn’t mean immediately asking customer for a phone number)? Advising you that, like it or not, dealers need to learn how to deal with the “price” question almost immediately they meet a customer? If you answered ‘NO’ to any of these, then perhaps you are not working with a training partner who truly understand automotive retailing today. Our training and coaching programmes is relevant today – we empower employees to deliver long-term profit improvement and achieve new and used car sales targets. We offer training in the classroom or on-site at the dealer facility. Each has its benefits and choosing the right format for a given budget and training goal is vital. We start with a training needs analysis and this shapes our content. We then bespoke your programme from our comprehensive range of regularly updated modules. Our training programmes cover every aspect of Dealer Management, Sales Management, Sales Executive, and Financial Products training. Today we provide training for to our clients throughout the UK and Europe and we are a preferred status motor industry training provider for many of the leading automotive brands for used car sales and sales management training. If you are running a workshop or looking to bring new ideas and presenters to your automotive conference, we’ll be happy to attend. In 2015 we began our International Knowledge Forum. It allows us to share and discuss new technologies and new automotive thinking with a panel of industry experts. The guest list is intended for creative thinkers who shape the future of the automotive industry. It’s not your usual conference as participants will be challenged; discussions are both creative and inspiring. 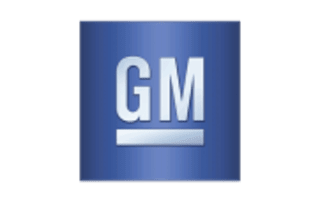 It’s designed to help automotive professionals consider new challenges and provide a healthy environment for discussion. More than that, it creates space to think about the next steps for business growth and the knowledge and confidence to deliver change. We supply automotive manufacturers with people who deliver a full range of services. Rather than simple outsourcing, our employees are deployed against a specific service description, and we agree a balanced scorecard that ensures each employee works to a set of KPIs. We then work with you to manage these individuals and where necessary, offer training and coaching. In summary, we provide skilled people to deliver a service. We are registered to employ and payroll in every European market and our service fees are extremely competitive. Each employee has a local employment contract, we are fully tax compliant and through our network of local compliance partners we can offer legal advice, and help you understand the local labour code requirement for “off head-count” deployment solutions. 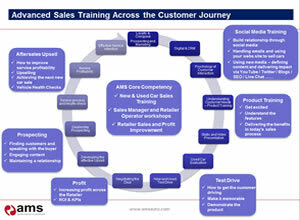 AMS offers a robust and challenging recruitment process. This has been developed to ensure our recruitment success rate remains exceptional and our employees stay with us for the long-term. We start by understanding clearly the job profile, the skills and knowledge required to deliver success. Aligning this to a very specific organisational fit is critical to our success. We then follow the AMS 11-step recruitment framework. Recruitment is at the core of our operation and we attract the very best talent in the industry. We can demonstrate our effectiveness through many complex assignments. In addition to our recruitment site, we use local web recruitment portals and network extensively through LinkedIn and other social media platforms. markets, you dictate the involvement you want to have and leave the rest to us. your part and we deliver the rest. We can deliver probably the best showroom event you’ll ever run. We have a range of products services to support showroom sales activities and enhance the customer experience. 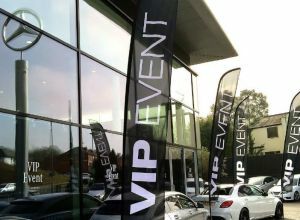 If a dealer wants to move a lot of stock in a very short time, we have teamed up with Rhino Events to bring the hugely successful VIP Events to dealers in Europe. We deliver the complete package of event support materials, we coach the sales team and advise on staffing the event. The strategy is to sell hard and to clear old stock, and the consumer offer is “unbeatable deals”. Our clients regularly sell two or even three months’ worth of cars in only four days. I know it may be hard to believe, but call us and we’ll prove it can be done! Take a look at the video and feedback from Dealers on our YouTube channel. We are able to supply objective independent Standards Auditors worldwide. Dealer operating and product quality must be checked (audited), and AMS has developed appropriate auditing strategies across Europe. If you have a programme, you must have standards and, if you have standards, you must have measurement. In order to make sure your dealers are achieving their agreed franchise standards, you may need a team of specialist auditors for short term assignments. Finding these resources is not always easy, but at AMS we have a network of independent auditors available for short term assignments. And if you have standards and measurement, you need to offer performance improvement solutions. At AMS, our experts can offer you and your dealers practical advice and support to tackle areas of under-performance. We offer cost-effective auditing packages which increasingly take advantage of tablet technology. We even offer real-time online auditing by customer ‘volunteers’. Nothing speaks louder than the voice of real customers talking about their real experience of buying a used car from a particular dealer. So if you need help with block exemption, franchise standards auditing, warranty cost control and process management assessments, you need to contact AMS. AMS is helping many businesses establish their products and services to automotive clients in new markets both inside and outside Europe. We have an exceptional contact base established over 30 years of working in multi-markets and we can get your products and services in front of the right people in some of the world’s leading automotive manufacturers. If you have a product or service you would like to see in Europe, then call Darren Atkin on +44 1628 667668. 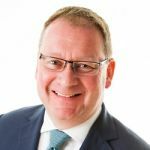 AMS will be happy to look at commission based arrangements, a franchise or partnership agreement or, if the business case supports it, we’ll consider making a financial investment with you. If you need assistance or you think we can help you feel free to contact us. 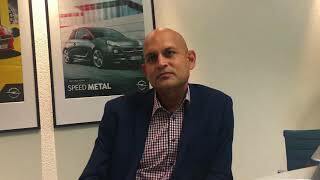 We will be pleased to answer your questions and give you our opinion on how we can work together to retain customers, sell more cars and increase profitability. AMS supports the BMW remarketing operation from vehicle registration to de-fleet. 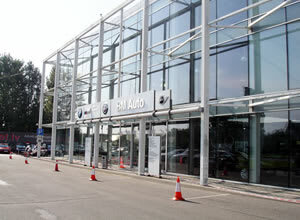 We help maximise residual values by selling BMW vehicles to BMW dealers. We support the sales channel through the deployment of the BMW Premium Selection and MINI NEXT used car programmes. Today, we work with BMW dealers, helping them sell more used cars and increase sales profitability and customer retention. 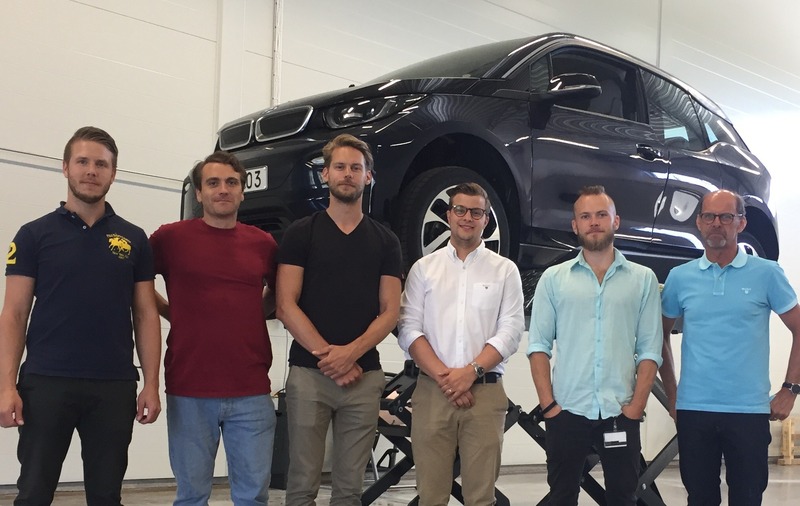 AMS supports BMW in Portugal, Sweden, Finland, Norway, Denmark and Finland. AMS is helping dealers sell more new cars and commercial vehicles to business customers. 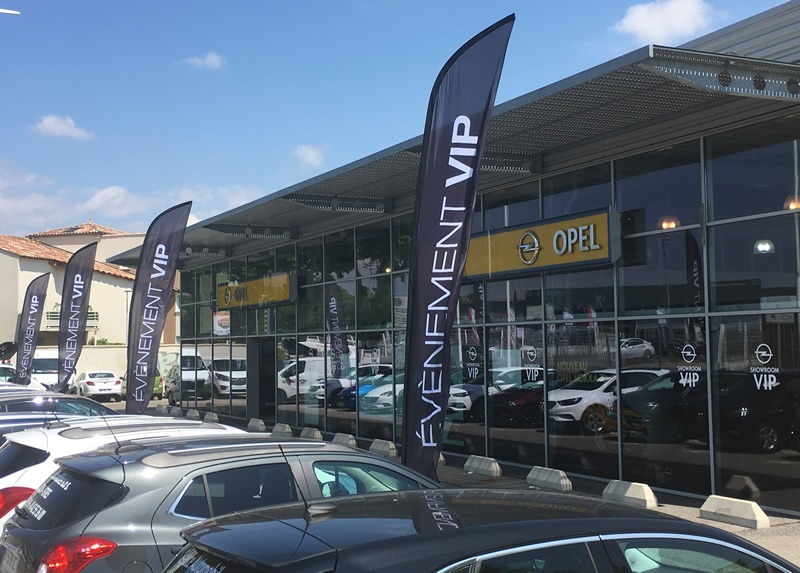 Our sales makers are visiting dealers throughout Europe driving sales activities such as prospecting, customer contact, test-drives and brand building. 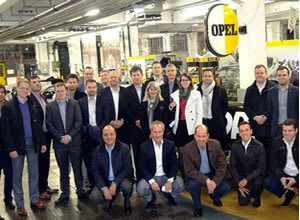 We are also visiting business customers with dealer managers representing Opel and helping to close deals. We are immensely proud to have contributed to over 100,000 vehicle registrations. Volkswagen asked AMS to help develop a global dealer coaching standard for used car performance improvement. We compiled all we know about global used car retailing into a specialist guide. Our work with VW managers means the coaching team deliver the same message, wherever they are based in the world. Dealers benefit from a structured 360-degree analysis. 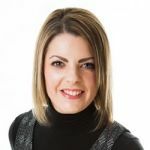 They receive an engaging business plan that sets out KPI targets and everything is backed up with best practise processes, actions plans and tools for business improvement.  We are helping TRUCKSMITH open up markets in Europe for the sale of their class-leading range of commercial vehicle conversions. We are helping to establish an aftersales network, engaging with European dealers, identifying new buyers and presenting TRUCKSMITH products. In 2018 we will be helping to open up new markets and deploy more sales specialists. Just about every dealer in the UK will know about Rhino. This is because they offer exceptionally successful showroom sales events. It’s called the VIP Event. We are working with Rhino to bring their VIP Event to our manufacturer and dealer partners across Europe. We are running sales events for BMW in Portugal, Opel in France and are about to target Scandinavia.  If you want to run this exciting event, AMS will bring Rhino and their event fulfilment partners to your business. Be prepared to sell over a month’s worth of sales in a weekend! I’m the newest member of the head-office team here in the UK. Although I’m a qualified bookkeeper, my previous experience in automotive was running company car fleets. 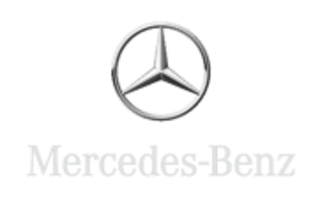 My biggest fleet was over 100 vehicles from brands like BMW, Mercedes-Benz, VW and Vauxhall. I’ve now joined Anne’s team and will support our employees across Europe with their general enquiries about all things finance. When I’m not working, you’ll find me looking after my family and making sure we all stay fit, active and healthy. 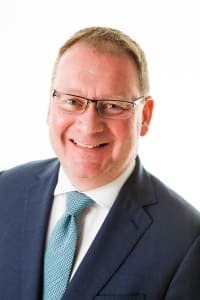 I’m looking forward to getting to know the AMS teams and working with our partner agencies across Europe for payroll salary and tax compliance purposes. Finance is exciting. 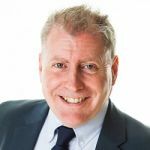 In fact, I’m responsible for our commercial relationship with payroll partners, lawyers and tax specialist in over 30 markets. AMS always complies with the local labour code in the countries in which we operate and employee tax is always paid locally. I am also here to support our employees with any, and I mean any, questions they have concerning their tax and social payments. Here’s a bold statement: I don’t think anyone else knows as much as we do about operating a fully compliant business across so many markets! 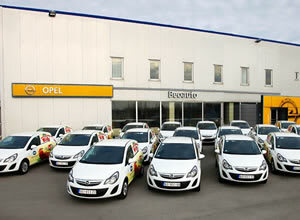 Similar to Portugal, we employee over 20 automotive specialists across the Scandinavian region. I head the team helping BMW dealers sell more used cars through the BMW Premium Selection and MINI NEXT used car programmes. 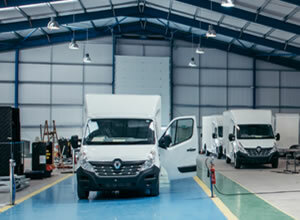 We are also investigating our own Fleet Service Centre to help our manufacturer clients manage their own vehicle fleets. AMS is a big company operating in multi-markets supporting a wide range of specialist automotive assignments. However, we would like you to think of us a small business. Everything we do revolves around supporting our clients and we always get this right. If we didn’t, I wouldn’t sleep at night. We are very flexible with the services and solutions we offer. We don’t need shareholder approvals to invest, we just do it. In fact, we are not funded by banks or credit facilities, we reinvest our profits back in our business and our people. If you put your faith in AMS, I can assure that we’ll achieve the objectives you set for us. 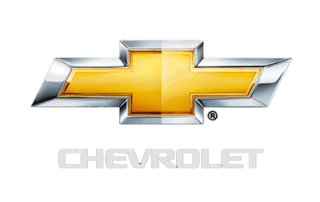 Managers, Dealer Marketing Specialists, CRM, Press Relations, Pool Car Management, Electric Vehicle Specialists – the list is growing. in respect of off-headcount employees, and that we deliver a measurable service, as opposed to a ‘hired hand’ we never speak with. I get to engage with a network of candidates in many countries to participate in the various teams and special events we run for our people. If you join AMS, you join the family! 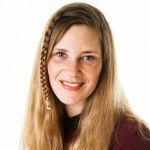 I’m French and (despite the weather!) I have been living in the UK for many years. We have just launched the Rhino VIP Event in France, and you can see some people buying cars on our Instagram page. Our VIP Customers enjoy these special events, and dealers see some fantastic results in just a few days.  We are actively developing new business in France – if you would like to call me to discuss your requirements, I’d be delighted to speak with you, in French or English. We employ over 20 automotive specialists in Portugal for various brands on a wide range of assignments. Working with Gareth, I coordinate operations locally. 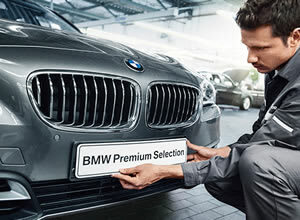 I’m assigned to BMW on the Premium Selection and MINI NEXT used car programmes. I have a team of 4 dedicated to helping dealers sell more cars and improve profits. I think we have the most successful used car programmes in Portugal. We have recently launched the Rhino VIP Event and this is selling a lot of cars. We also helped UK sales video provider CitNOW launch their products with BMW Portugal. In fact, we brought video to Portugal before any other brand had even considered using it. Congratulations to BMW for being the first Brand to launch video as part of the dealer sales process. Why not register your CV with AMS? We have a wide range of assignments and we are always looking for the top talent in the car industry. Please upload your CV using the contact form on Upload CV tab. Registering your CV with AMS means we’ll stay in touch. We are engaged on a wide range of automotive assignments and we are always looking to recruit the most talented automotive professionals. – if this is you, please get in touch. Individuals have rights concerning the protection of their personal data. During the course of our business, we will collect personal data from, job seekers, customers, suppliers and employees. At AMS, we recognise the need to treat this data in an appropriate and lawful manner. One that complies with all applicable law relating to the processing of data, including the Data Protection Act 1998, the General Data Protection Regulation 2016/679, and the Privacy & Electronic Communications (EC Directive) Regulations 2003. When you apply for a job through the AMS Website, you will be asked to enter your name, email address and a telephone number. You are also asked to enter a message. This is where you tell us which job you are applying for. Within 10 working days of the job being filled, applications from other job seekers are deleted. If you would like us to retain your CV for future job opportunities, please tell us this in the message box. When you upload your CV to AMS, you will be asked to enter your name, email address and a telephone number. You are also asked to enter a message. This is where you tell us that you would like us to retain your CV and that you want us to contact you with future job opportunities. You are giving us your consent to retain your personal data. We will retain your data for a period of 12 months after which, it will be deleted. All data held by AMS is password protected and stored on a secure server. Our server is backed up daily, with back-ups removed from our premises and stored securely. If you would like more information on our Data Protection Policy please contact us at ams@amsauto.com. We only employee the most talented automotive specialists, and your career is extremely important to us. If you join AMS, you can expect to receive regular training and on-going support from your AMS programme director. Working together, we will achieve our client’s objectives, accurately report our progress and, at the same time, help you develop your automotive expertise and fulfil your potential. Working with AMS will give you the opportunity to support some of Europe’s leading automotive manufacturers and dealers. In fact, many of our automotive specialists go on to join our manufacturer partners with some now holding senior management positions. It does not matter where you are working for AMS – from Helsinki to Lisbon, from Izmir to Paris, you will receive a local language AMS employment contract. Your employment contract with AMS will be regulated by your local labour code and all local employment conditions apply. You will be paid locally. All your tax and social security payments will be paid locally through our extensive network of European tax compliance and payroll partners. Our teams tell me that working for AMS is exciting, rewarding and good fun. Just like our clients, we welcome all talented people, regardless of age, race, gender or disability so, if you are thinking of joining us and want to talk, I’d be delighted to get to know you. Feel free to upload your CV, or contact me personally at any time. Only registered member can login here. Only registered member can recover their password. Whether you are thinking of joining us or you want to know if we can help, we would love to hear from you so let’s get in touch! You can send a message right now using the our contact form below.